A Group Of Mountaineers Climbs To The Top Of A Snow-capped Mountain. Фотография, картинки, изображения и сток-фотография без роялти. Image 110531873. 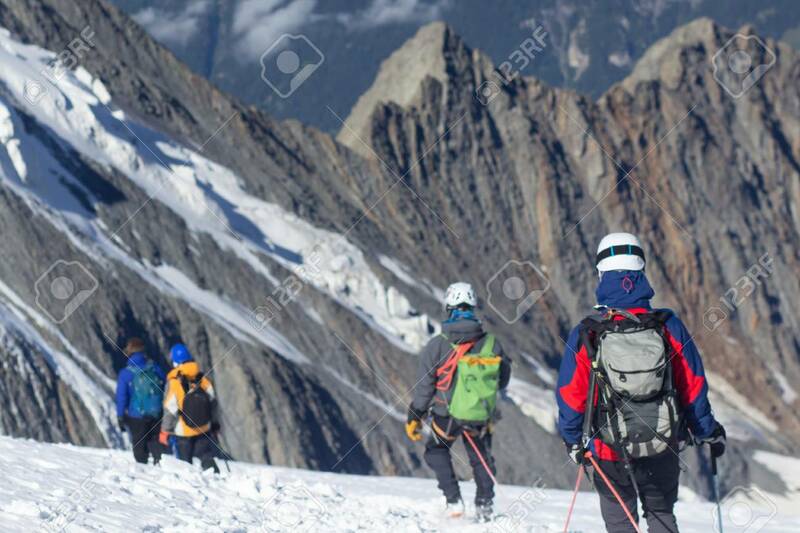 Фото со стока - A group of mountaineers climbs to the top of a snow-capped mountain. A group of mountaineers climbs to the top of a snow-capped mountain.